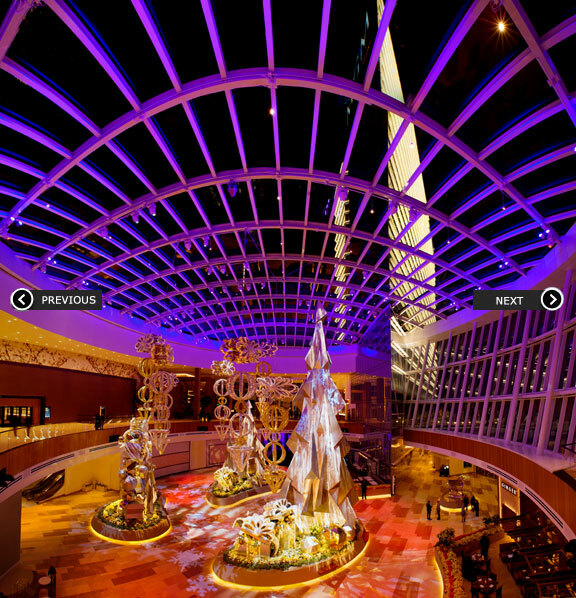 MGM National Harbor, a $1.4B hotel and casino located on the eastern shore of the Potomac River in Maryland, a short distance from Washington DC, includes a 24-story, 308-room resort hotel featuring premier amenities and experiences, a 125,000sf Casino that includes slots, table games and poker, a 27,000sf world-class spa and salon; an entertainment theater with seating for 3,000; 18,000sf of high-end branded retail; 50,000sf of meeting space and 15 restaurants from renowned local, national and international chefs. The Washington Building Congress’ Annual Craftsmanship Awards Banquet was held at the Marriott Wardman Park Hotel on March 31, 2017. In opening remarks, Joe Schall, WBC's 79th Chairman of the Board, welcomed the more than 1,200 commercial real estate industry professionals, spouses and friends in attendance. This year, Component Assembly received the Craftsmanship Award for Special Construction: GFRG and Wood Grills for the work on the National Museumof African American History and Culture. All of the wall finishes in the Museum’s Oprah Winfrey Theatre were installed by craftsmen from Drake/Component Assembly Systems, Inc. The ceiling reflectors and the sound isolation ceiling above the ceiling reflectors were also designed and installed by the same company. Wood grills were installed and plumbed vertically from the floor of the theatre to an elevation of 2.5 M. GFRG panels were installed in four rows, approximately one meter in height, above the wood grills in two panel bands that lean out of vertical by approximately 15 degrees. 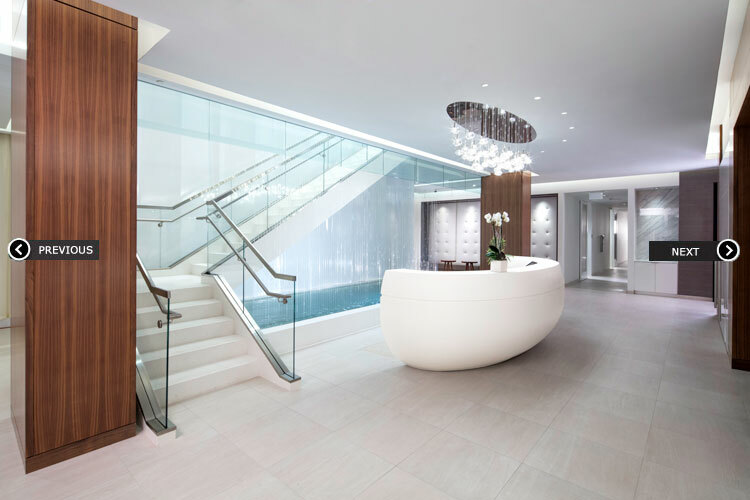 GFRG is cast gypsum, the same as drywall, strengthened by chopped glass fibers and cast in molds to produce panels. 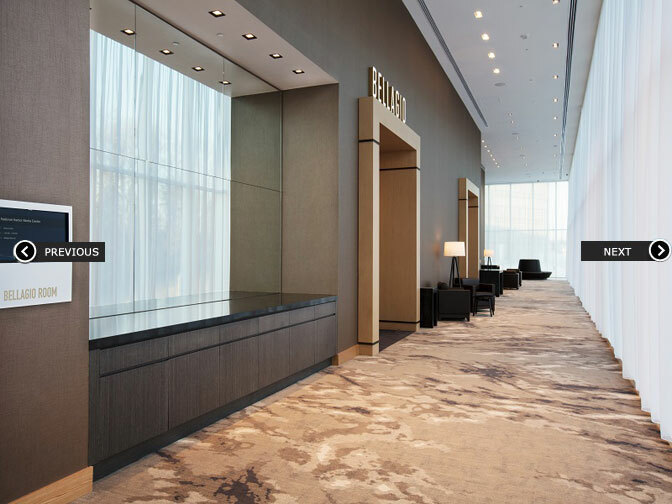 The substrate provided for the wood grills and GFRG panels was vertical steel tubes spaced 3M on center with minimum horizontal steel angles connected to the tubes. As can be seen in the theatre, the craftsmanship of the carpenters and the inventiveness of the subcontractor staff are evident throughout the theatre space. Click here to see a photo of the winners. 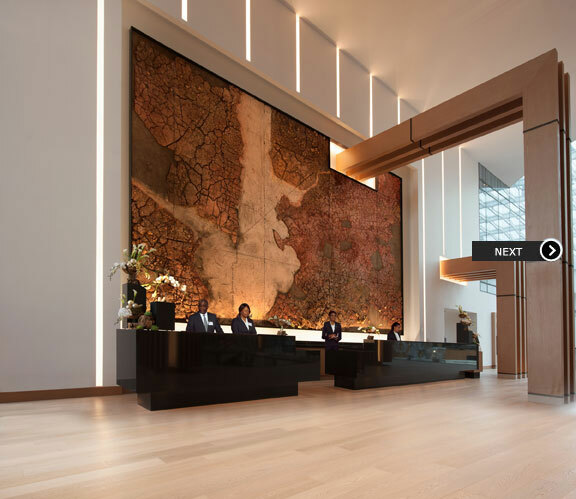 Occupying the last available space on the National Mall, the Smithsonian's National Museum of African American History and Culture will be situated prominently between the National Museum of American History and 15th Street, next to the Washington Monument. 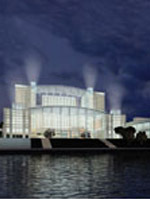 When it opens to the public in 2016, the museum will be a centerpiece venue for ceremonies and performances, as well as a primary exhibition space for African American history and culture. This 1.275 Million square foot, multi-story hospital will house 120 in-patient beds, Exam Rooms and trauma rooms. 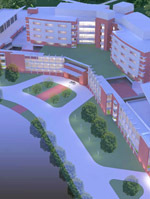 Contractor Turner / Gilbane (A Joint Venture), expects the completion of this spacious multi-building facility in the Fall of 2011. CAS is currently performing Drywall installation, acoustical ceilings, metal framing, interior expansion joints and wall protection. For more information about this project, please click here to read the militarytimes.com article. 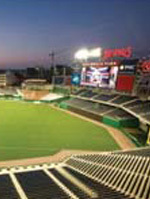 CAS has completed the installation of drywall and acoustical ceilings at the Washington Nationals Baseball Stadium. Under General Contractor Clark, Hunt, Smoot - A Joint Venture, the ballpark was a fast paced project completed in just 23 months, the quickest duration of any stadium ever built. The CAS project duration was an unheard of 11 months. In this short time CAS installed 60 miles of metal framing, nearly 21 acres of drywall and sheathing, and 49,000 square feet of EIFS, not to mention enough acoustical ceiling to cover 4 football fields! CAS reached substantial completion in less than 10 months, over 1 month ahead of this already difficult schedule. 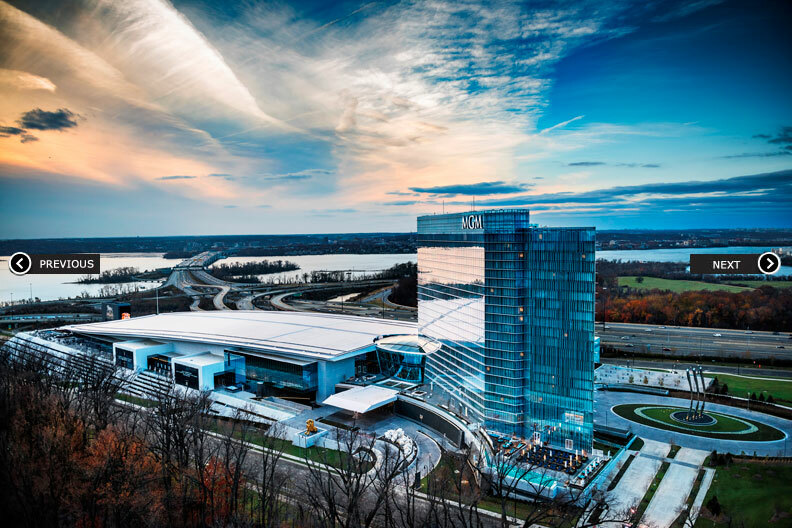 Residing on the Potomac River in Maryland, just outside Washington D.C., is the Gaylord National Resort & Convention Center. Under the construction manager Perini Building Company, CAS installed Drywall and Acoustical Ceilings. 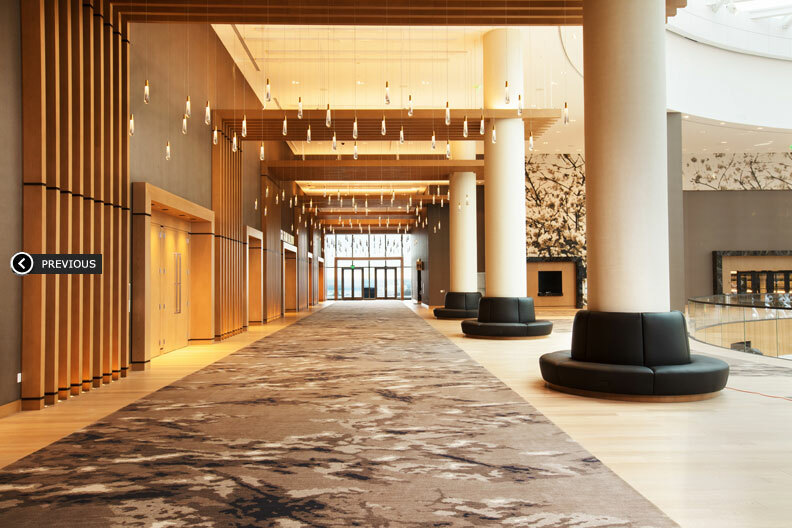 This facility houses two thousand guest rooms, various restaurants and shops, as well as a world class convention center. Component Assembly Systems has completed work on The Howard Hughes Medical Institute. The biomedical research building has 365, 000 square foot of state of the art laboratories and offices, designed by architect Rafael Vinoly Associates for general contractor Turner Construction. Featured drywall elements include 30 six-foot diameter multi-tiered domes, concentric circle drywall ceiling in the auditorium and a 25,000 square foot vivarium with metal framed walls and ceilings designed and built by CAS. Due to the nature of the facility, many areas required specially engineered metal framing to integrate with the curtain wall systems. 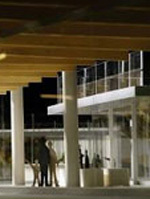 Additionally, all the laboratory case work is supported by CAS designed engineered wall framing.